UPDATE - Monday 17th March: The PES Team have confirmed the first details of the upcoming update will be announced later this week. 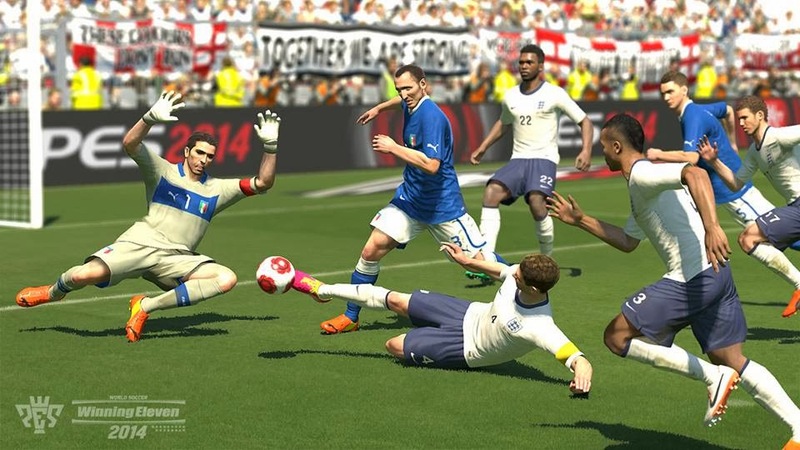 European Community Manager Adam Bhatti has revealed the PES Productions team are working on an "awesome" new update for PES 2014. "I appreciate many want to know about the future of the series, but our focus is rewarding those who are still playing PES 2014. Stay tuned!" With South America acting as Konami's focal point for several years now - securing the Copa Libertadores license in 2010 as well as the top tiers of Argentina, Brazil and Chile in more recent years - most fans expect this update to tie in with this summer's World Cup... which, for those of you who've been living under a rock for the last seven years, is due to kick off in São Paulo in just three months' time. No further details or release dates have been confirmed yet, however, we'll let you know as soon as we get more information. What would you like to see included in this forthcoming update? Be sure to leave your thoughts in the comments section below.